Join us at Machu Picchu! Note: This is Machu Picchu Ayahuasca Retreat Extension is an add-on for our Life-Changing 9 Day Ayahuasca Retreats in Peru. Why After Your Retreat, Instead of Before? 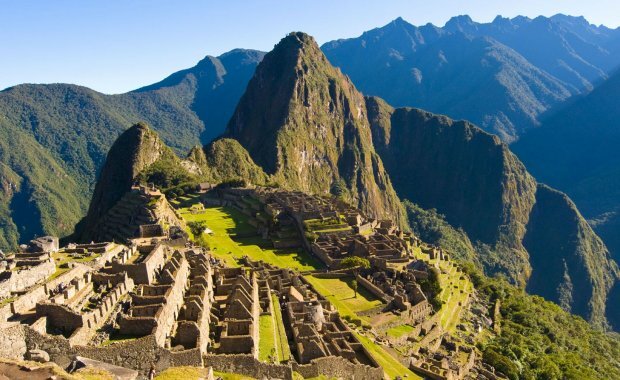 What’s Included In The Machu Picchu Ayahuasca Retreat Extension? – On the last day of the retreat, you will be transported to Ollantaytambo, which is where the train to Machu Picchu departs from at 12:36. Its 1 hour and 30 minute ride to get to Aguas Calientes. – You will arrive in Aguas Calientes, which is the small town at the base of Machu Picchu , Once you arrive someone will be waiting for you at the other end with a sign and will walk you to the Hotel. You’ll have the rest of the day/evening to enjoy the town, roam around, do some souvenir shopping at the markets, enjoy some food, and whatever else you please. There’s plenty to enjoy at night, and even hotsprings, just a 5-10 minute walk away from town! At 19:30 (7:30) the guide will meet you at the Lobby of the Hotel to give you a briefing about the next day’s program and recommendations. – After an early breakfast at the hotel you will catch the bus to the actual ruins (25 minutes), At the ruins, you’ll have a guided tour explaining the history and the amazing story of the Inkans and this sacred site, which lasts about 2 hours. Note: Since there’s quite some time between your breakfast and lunch, we’ll also provide you with a bagged snack, for you while you’re at Machu Picchu. – After the tour, you’ll have the rest of the afternoon to roam around, (remember your camera!) and then you can enjoy the bus back down the mountain, to Aguas Calientes. – When you arrive back in Aguas Calientes, you will take the train from Aguas Calientes to Ollantaytambo, which leaves at 14: 30 (2:30). Once at the Ollantaytambo station you will meet the transfer that will take you all the way to Cusco (about 2 hours). – You can be brought to the airport, a hotel you book, or the main square – it’s up to you. And that’s the official end of your retreat! And soak in all beauty & depth of transformation you just experienced. The 2 day, 1 night retreat extension is $400, which includes the entrance ticket to Machu Picchu, your train ticket, all transportation, the guided tour of the ruins, a shared room with another guest in Aguas Calientas, and most importantly, the much-needed time to integrate, before you fly back home. Honestly, if you try to organize this yourself, it will very likely end up costing more. We don’t do this to make money, we do this to help you out with organization, and save you time. We really want to share this beautiful experience with you, and recommend anybody who comes to the Sacred Valley, to take advantage of this opportunity to experience Machu Picchu. There’s a reason so many people come from around the world, just to see this sacred site! In order to pay for this, please bring $400 USD cash with you, which we will collect from you on the first day of your retreat. Please exchange this beforehand for clear, crisp bills from the bank, otherwise they’re sometimes not valid here in Peru. Even if you’re not 100% sure that you want to join us for Machu Picchu, if you’re thinking about it, still email us to let us know that please. Please note: If you do decide to join us for Machu Picchu and make the payment on the first day of the retreat, the payment is non-refundable. This is because we will purchase the entrance and train tickets and book the hotel and tour guide a week in advance. If you plan on joining us for Machu Picchu, please make sure you book your flight out of Peru, taking into consideration this extra time needed for your retreat extension. If your retreat ends on a Friday, book your flight leaving Cuzco, back to Lima, no earlier than Sunday afternoon. You would have to book a hotel or hostel for Saturday night. If your retreat ends on a Saturday, book your flight leaving Cuzco, back to Lima, no earlier than Monday afternoon. You would have to book a hotel or hostel for Sunday night. Which Flight Company Should I Use?